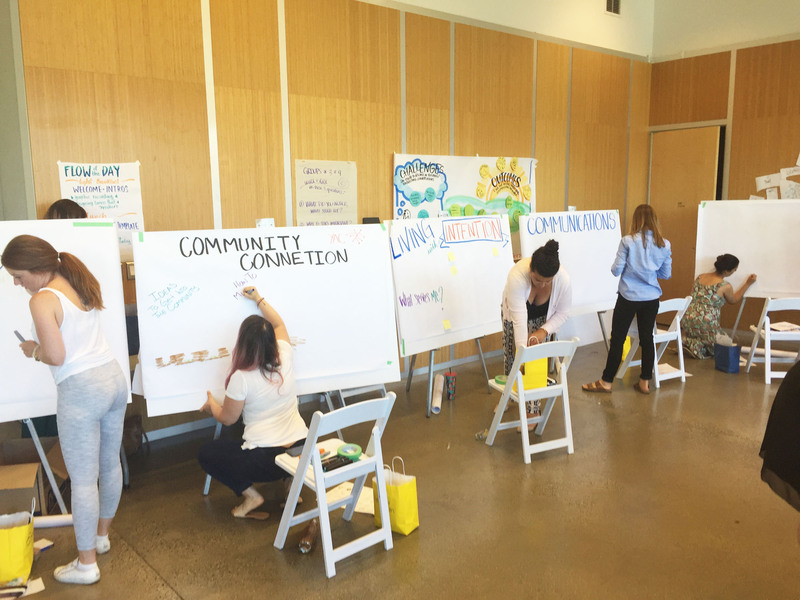 On Wednesday, July 25th, Fostering Change partners and youth allies came together to build their skills in graphic facilitation and learn how to get the most out of their conversations--whether they take the form of board meetings, counselling sessions, or even just self-reflection. 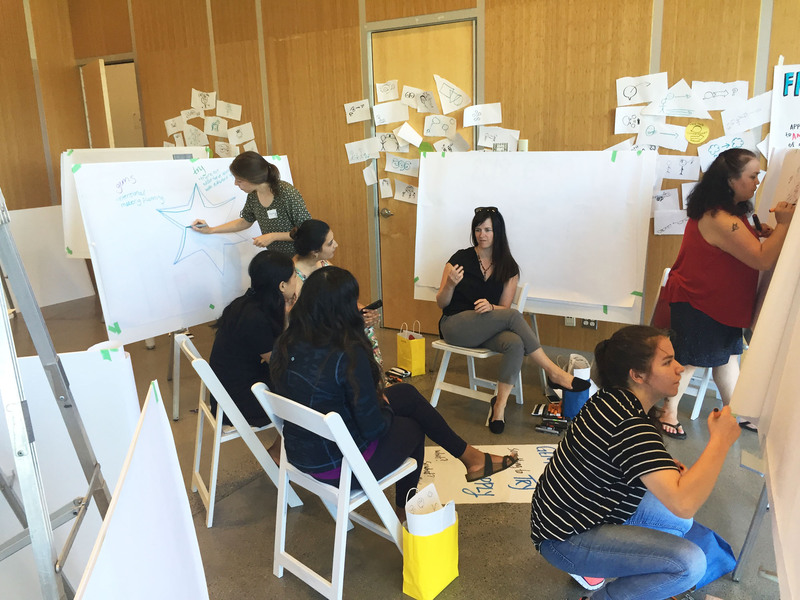 The learning process was lead by an amazing team of Amanda Fenton and graphic facilitators Sam Bradd and Tiaré Jung. With graphic facilitation being a cornerstone of the day’s learning experience, Sam got the group warmed up and ready to draw. 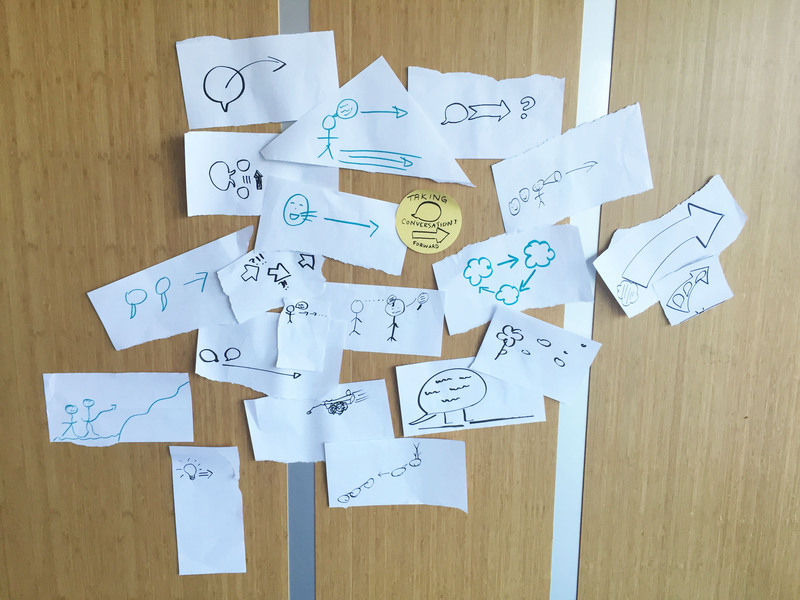 Beginning with a few squiggles that suddenly turned into a flock of birds, and working his way up to the Science World dome just across from the learning day venue, he showed that images--even those which appear to be complex--are the sums of simple shapes which everyone can draw. 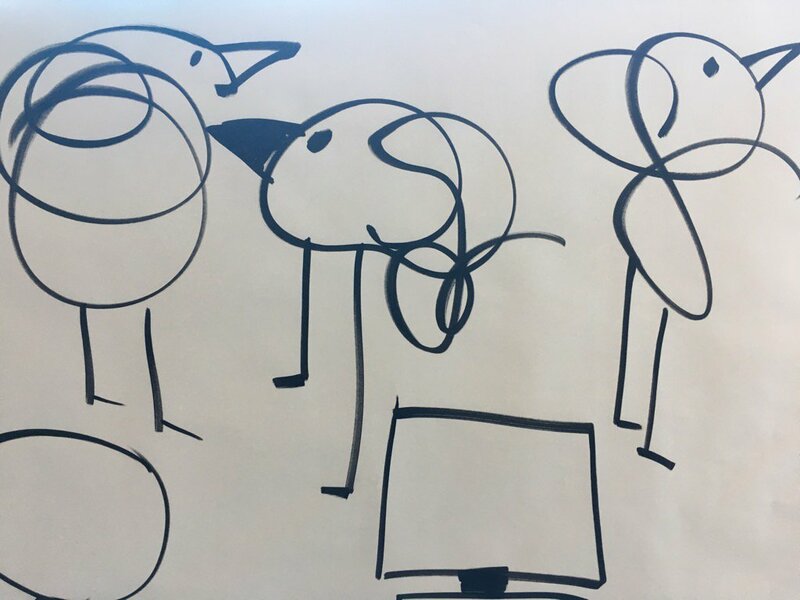 The participants took time to sketch their own doodle birds, and with the artistic juices flowing they were ready to use a visual lens to learn how to design and host productive conversations. First, Sam identified three concepts that are particularly relevant to generating meaningful discussion. The learning day participants were asked to visually represent ‘sharing experiences’, ‘taking conversations forward’, and ‘an open mind’, and the result was a collection of drawings which, although similar in respects, highlighted each person's unique perspective. 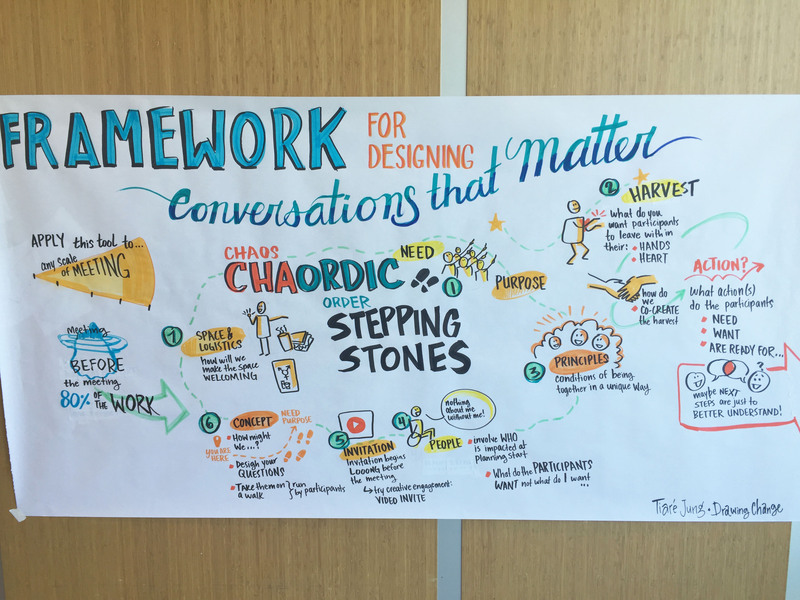 With Tiare lending her graphic facilitation skills, Amanda then discussed how to create a framework for designing conversations that matter. In particular, she stressed the importance of not entering meetings simply out of habit or without thought; asking why these meetings are happening and what is to be gained from them provides invaluable structure and maximizes what we can extract from our conversations. Following Amanda's helpful planning session, the learning activities were briefly put on hold so that our partners and young allies could refuel with a yummy lunch, and get ready to spend the afternoon as graphic facilitators. 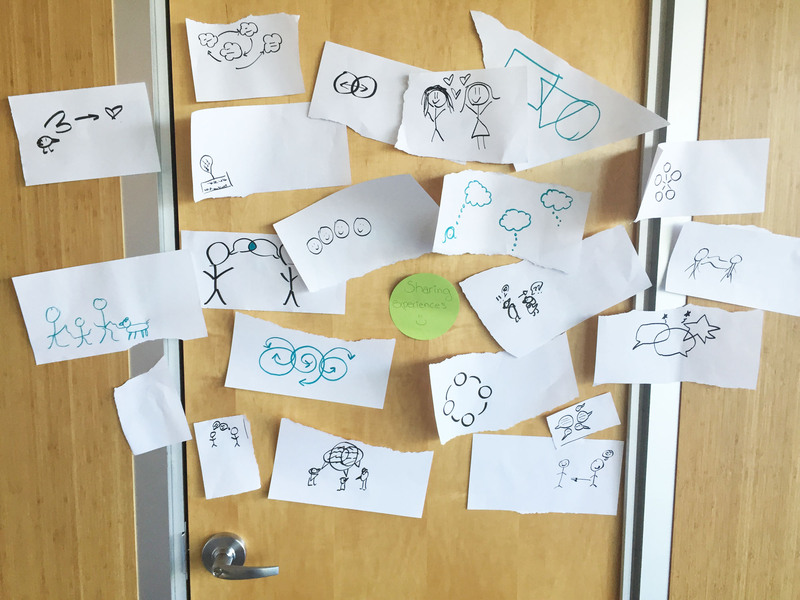 Using issues of personal importance, like an upcoming counselling session, they applied what they'd learned and created visual tools to help them get the most out of their upcoming meetings. 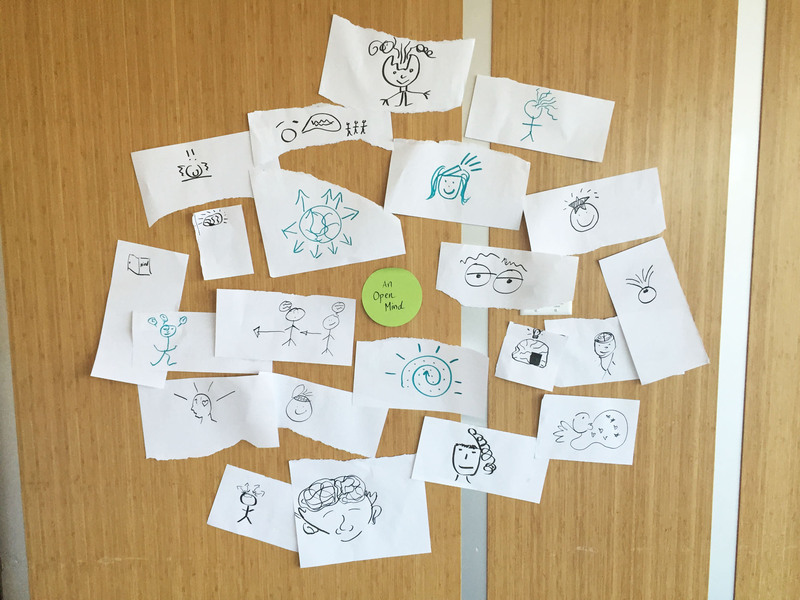 Once they'd had a go on their own, the budding graphic facilitators formed groups and took turns visually recording discussions about the tools they'd acquired and how they would use them moving forward. The day then closed with everyone coming back together to reflect on the new skills and knowledge in their possession. There's no doubt from the responses that July Learning Day was a big success, and the attendees have already started putting their new skills and strategies to use. Thanks again to Sam, Tiare, Amanda, and everyone who showed up!